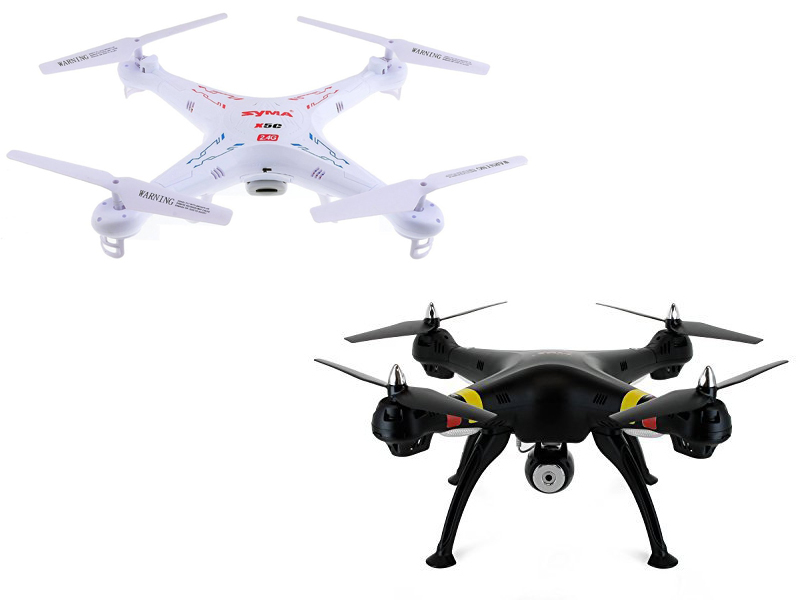 Syma X5C and Syma X8C is both the drone product which is made in china and designed as toy or easy to use quadcopter which is best for the beginner. Syma X5C and Syma X8C offers you the experience using toys with high quality performance and affordable price. Both of product is also offers you experience using HD camera so you can record the situation of your house or other places remotely. If you intend to buy the drone and you are confused to choose between Syma X5C and Syma X8C, so reading this article is the right decision. Syma X8C is designed with the good material so that the quality of performance is worth for the price. The body is made of a thick plastic that is tough enough to take a pretty hard fall. This product added 6 axis GYRO flight system provide you good control and stable mobility. Syma X8C lets you repair it by buy the spare part if there is something crash or bump about the product. This drone is big enough comparing it with other products but the size is not effecting the performance, the solid build of drone make this product more durable. Syma X8C is equipped with built in 2 MP Camera plus SD Card. The flight time approximately 7-10 minutes and the bad news for this product is Syma X5C will take over 3 hours until it is fully charged. - 6 AXIS GYRO - Equipped with the latest 6-axis flight control systems, 3D lock, More scheduled flight, operating more to the force! - 2MP HD Camera - Built-in the quadcopter for you to take photos and videos while flying! Have photos from aerial viewpoints while flying the quadcopter! - Colorful flashing lights - have fun playing with it during the day or nights with your friends, family, kids, even pets! The conclusion is both Syma X5C and X8C is designed with Camera with the same quality. Syma X8C is still affordable enough for low budget users to buy. The difference is about the size, Syma X8C is bigger but the performance is still stable enough since it has 6 axis GYRO flight control system. The battery lifetime is similar between Syma X5C and Syma X8C. So you can choose between them based on your need. The important thing is you need to keep the rotor and other parts of drone clean after you use it.